Porsche is expanding its range of hybrids even further: the new Cayenne E-Hybrid combines the best driving dynamics in its class with maximum efficiency. A three-litre V6 engine (250 kW/340 hp) combines with an electric engine (100 kW/136 hp) to generate system power of 340 kW (462 hp). The maximum torque of 700 Nm is already available just above idling speed; the boost strategy matches that of the 918 Spyder supercar. 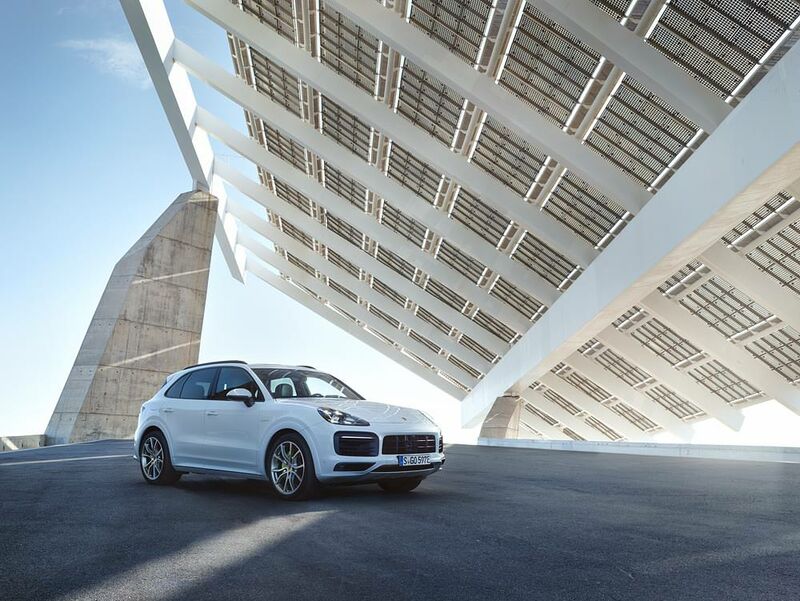 The Cayenne’s plug-in hybrid drive enables acceleration from 0 to 100 kilometres per hour in 5.0 seconds and a maximum speed of 253 kilometres per hour. The new Cayenne E-Hybrid can drive up to a distance of 44* kilometres and speed of 135 kilometres per hour on electricity alone. The average consumption in the New European Drive Cycle (NEDC), depending on the set of tyres used, is 3.4 – 3.2 l/100 km of fuel and 20.9 – 20.6 kWh/100 km of electricity. Alongside the launch of the Cayenne E-Hybrid, Porsche is expanding its range of comfort and assistance systems for the entire Cayenne series with additional options such as the new head-up display, massage seats and 22-inch light metal wheels. * The maximum electric range fluctuates between 42 and 44 km depending on the set of tyres used. ** Range depends on set of tyres used.